I signed up last night. I paid for the DM tier for a year and bought the 3 core books plus Volo's Guide and the SCAG Guide. I'm not sure it's exactly what I was hoping for, but I think it will get there. I'm anxious for the iOS app and would appreciate a way to cleanly export monsters. I want something better than hypothetically printing out a stat block from a PDF. New digital service for D&D 5. Has a lot of tools. I'm in as well. 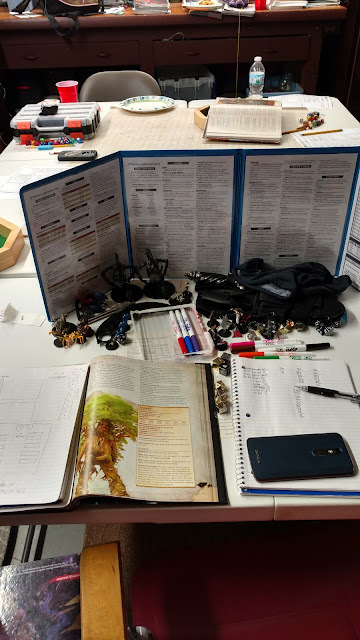 6mo DM sub to start, core 3, SCAG, plus Lost Mine and Storm Kings Thunder, the adventures I'm currently running for my two groups. Tons of potential but I agree it still needs work. I'm sure I'll grab Volos soon enough, plus Princes to fill out my players' sandbox. Are you on the forums there Tim?